Last night (October 20, 2014) the world lost one of its greatest designers. 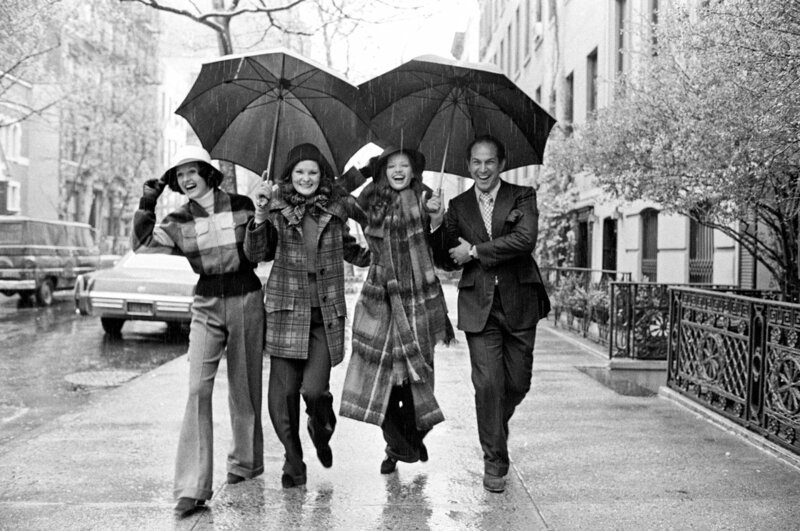 Oscar de la Renta (1932-2014) understood how to make a woman beautiful. I can think back to all the shows I have watched over the years and remember his impeccable taste in evening gowns; no one did it quite like him. Though he battled cancer for over 8 years, his work never suffered. He has dressed young style stars such as Taylor Swift, first ladies such as Hilary Clinton and everyone in between. Oscar del la Renta started his career in the mid 1950’s working for Cristobal Balenciaga. In the early 1960’s he became a design assistant at Lanvin in Paris. He wasn’t at Lanvin long before he decided to move to the United States. His design career in the US began at Elizabeth Arden. He worked for Jane Derby and Balmain in Paris before branching out on his own. His last two projects were his Spring 2015 collection and creating a wedding gown for George Clooney’s wife Amal Alamuddin. Until the very end, he showed us what luxury, taste, details and elegance was all about. He will forever be missed. Here are just a few of my favorite runway gowns from the last 5 years.